Welcome to Rising Hope Equestrian Center! The 25 acres of land that Rising Hope sits on has a long history. In 1978, Ceejay Heckenberg purchased the farm. She operated it as a non-profit organization, boarded clients’ and school-owned horses and invited young people to join them in the care and upkeep of the horses through lessons and the pony and horse camps. “These young people are learning a lot more than just the care of horses,” she notes with pride. “They are learning socialization skills, how to be responsible, and truly how to become community citizens.” Her school was associated with Northwood University, allowing students to complete four-year degrees in Equine Business Management. Graduates of the program went on to open up their own horse-related businesses all around the country. In 2005, Ceejay donated the land to the Little Traverse Conservancy. “When you live in a wonderful community,” Heckenberg said, “you want to be involved in giving back. 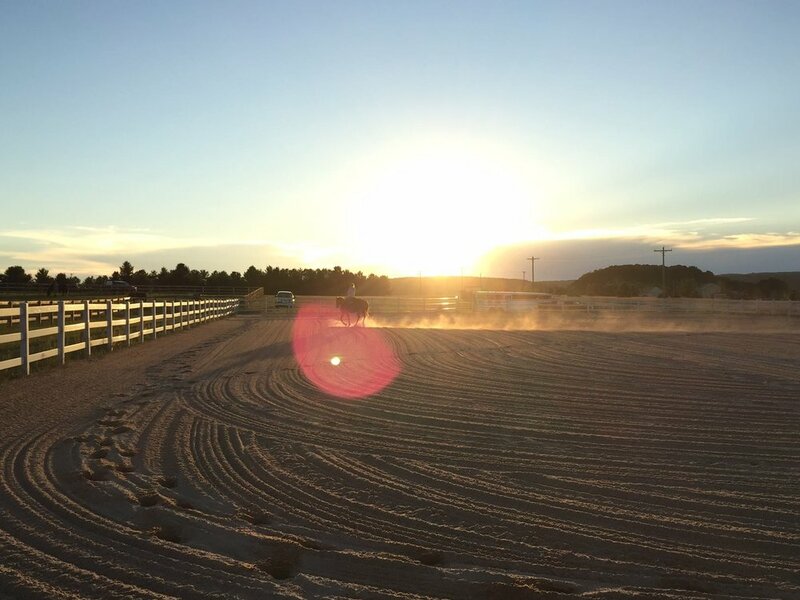 ” Since then, her vision lives on as Rising Hope Equestrian Center. The main barn houses an 80 x 120 lighted indoor riding arena, upstairs heated viewing area, heated bathroom and laundry room. 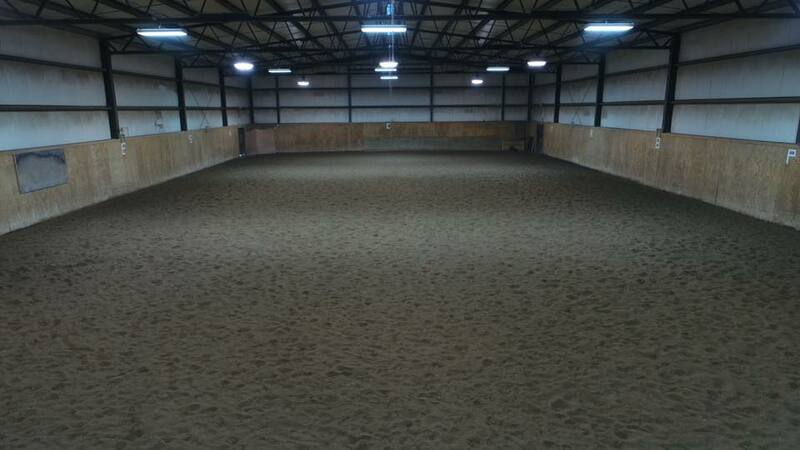 The property features a 150 x 250 outdoor riding arena, Two "K" barns, and an office. Our pastures are well cared for and groomed often. New horses are blended into one of our small herds based on their socialization needs. "Rising Hope Equestrian Center is the realization of the dream in us to share God's grace and creation with each other. We have been blessed to see beauty and love in each other, in horses, and in this place. We desire to share this experience with others who might become stronger through exposure to the joy that grows between people loving horses and equestrian activities."